From the Meetings Dashboard, click on the Create Meeting Button. 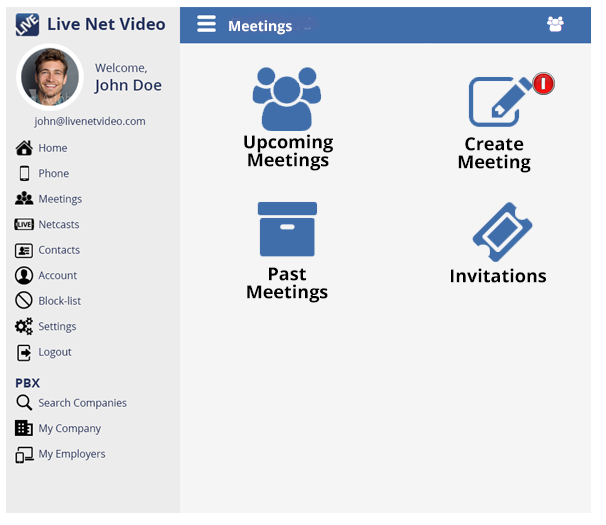 The Create Meeting Screen will open. Fill out the required information for the meeting. Click the calendar icon to bring up the calendar and confirm the date. Click on the Add Attendee Button to add open the Add Attendee screen. Add the email address and name of the person you want to invite to attend the meeting. Once you’ve completed filling out the add attenddee form, click the Add Button, an email will automatically be sent to the email addresss entered. 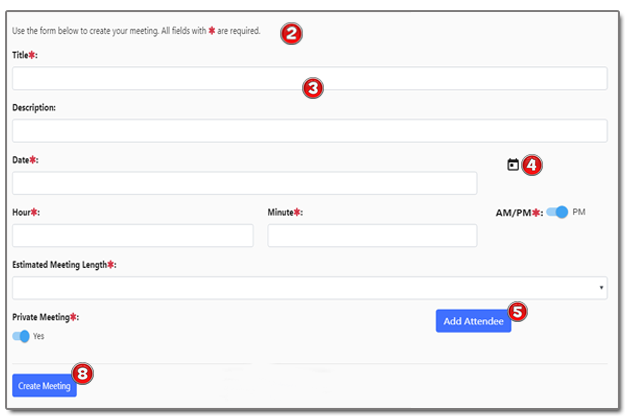 Once you’re finished filling out the Create Meeting Form and Added Attendees, click on the Create Meeting Button.